Women are the most important part of a society and also they have a big rule in making of a society, because of this they should be respected and considerate. They have their own rights just the same as the men, for this reason at first they should know about their rights and after that they can benefit from them. Nowadays, women from all around the world join in different activities and are mostly successful , they are busy in various jobs and activities. They almost benefit from all or most of their rights. But how is the condition of the women in Afghanistan? If we look at the past, during the three decades of war everything was destroyed and it harmed everybody and everything especially women and children because during this time in Afghanistan their was no news of security and education and people lived in very difficult conditions so women couldn't educate and they were constantly under violence and this caused them mustiness. And also during the Taliban Rajem ,it was the worst time for women and they were completely deprived of their rights as much as that they couldn't even go out of their homes. 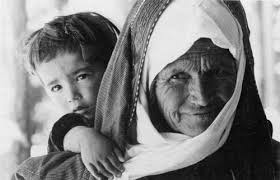 Generally if we talk about Afghan women's condition in the past in that time they faced with many problems but now it is very different from the past for most of women are again free and live in a better condition. 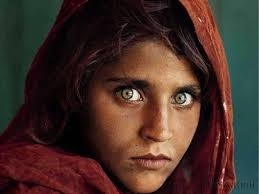 Now Afghan girls go to schools and universities and educate in their favorite fields just the same as the boys. Women are active in Afghanistan in every important issue of their society. Nowadays, women are teachers,doctors,politicians,managers,athletes,engineers and e.t.c. And they take part in every work of their country and society. Finally ,however, women still have a lot of problems there is still a hope for betterment of their condition and a bright future for the country. Student in Gowharshad bigom high school.